Kylie Jenner is definitely sending a message to all reporters who started rumors about her and rapper Tyga parting ways. The reality TV star posted two Snapchat videos on Monday, April 3 in which she sings along to Tyga’s new songs thus denying the split rumors. The thing is that the famous rapper has been noticeably absent from Kylie’s social media posts over the past several weeks, so rumors of their split started flooding the grapevine almost immediately. However, as Tyga seems to be very much in her life, the 19-year-old makeup maven decided to sing along to Tyga’s two fresh songs the rapper dropped earlier that day and show everyone that the two are still an item. In her Snapchat videos, Kylie can be seen sitting in her car singing along to Tyga’s two future hits called “Act Ghetto” (Tyga’s collaboration with Lil Wayne) and “100s”. 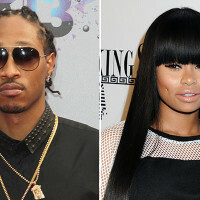 The lyrics to Act Ghetto even feature the line “Getting’ checks like Kylie, yeah, every day I do it, yeah / Yesterday, I did it, every time I’m with her,” so you know that the young power-couple is just fine, despite the recent claims made by Blac Chyna, Tyga’s ex-fiancé. Namely, Chyna recently accused her ex of not paying child support for their 4-year-old son, King. As we already know, Tyga’s $2.2 million Maybach car was repossessed earlier this year after the rapper stopped making payments, which means he might just be in a rather big financial bind. His love life seems to be in order, though. 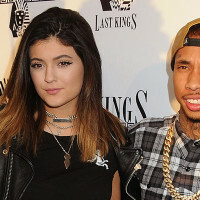 Jenner and Tyga went public with their relationship in 2015.